Isn’t Fez a pretty cat? He’s another of the beautiful Persian cats drawn by Harrison Weir (1824-1906) that he included in his book Our Cats and All About Them. There’s something about Weir’s work that makes it recognizable. This white sitting cat drawing is mostly done with black lines and yet we clearly see his lovely fur, his perky little nose and intense gaze. He looks almost real. 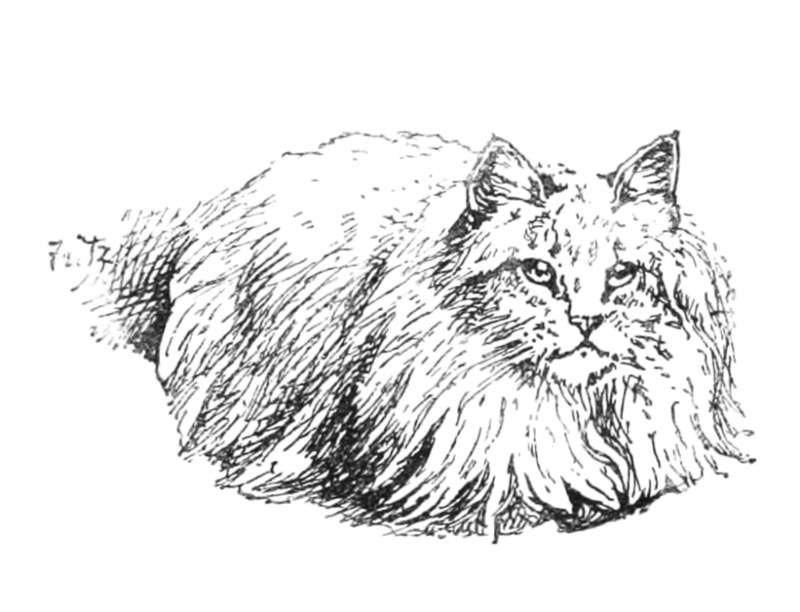 If you’re looking for a public domain cat drawing; this one is a wonderful choice. I could see Fez embroidered, gently colorized or perhaps even printed on a t-shirt. This lovely cat drawing is sized to fit within the design of Reusable Art. There is a larger-sized version available. Just click on the drawing shown here to access it.